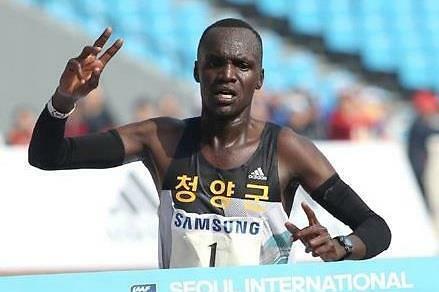 SEOUL -- Kenyan-born marathoner Wilson Loyanae Erupe has acquired South Korean citizenship, capping off a journey that began more than three years ago. 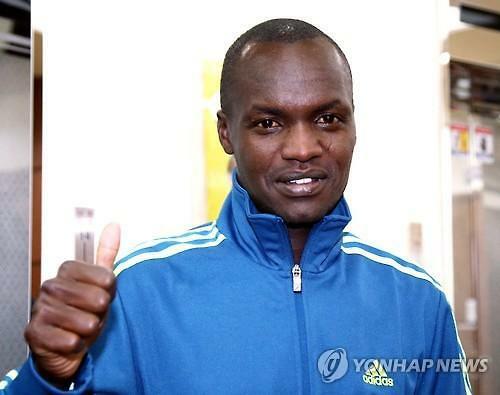 Oh Chang-seok, a former men's national marathon coach who now acts as an agent for Erupe, said the 29-year-old athlete was granted citizenship by the justice ministry on Tuesday. He failed in his previous bid in April 2016. But he has been competing for a South Korean municipal government since June 2015. According to Oh, Erupe will adopt a Korean name, Oh Joo-han, which translates into "I run for Korea." Erupe once hoped to represent South Korea at the 2016 Summer Olympics. Erupe's personal best is 2:05:13, set at the Seoul International Marathon in March 2016. The current South Korean national record is 2:07:20, set by former Olympic silver medalist Lee Bong-ju in 2000. Oh Chang-seok believes Erupe can fight for a spot on the podium at the 2020 Tokyo Olympics, but recent rules by the International Association of Athletics Federations (IAAF) on transfer of allegiance will make Erupe ineligible. Under the rules adopted last week at an IAAF council meeting with immediate effect, athletes must wait three years after switching allegiance before representing their adopted country.